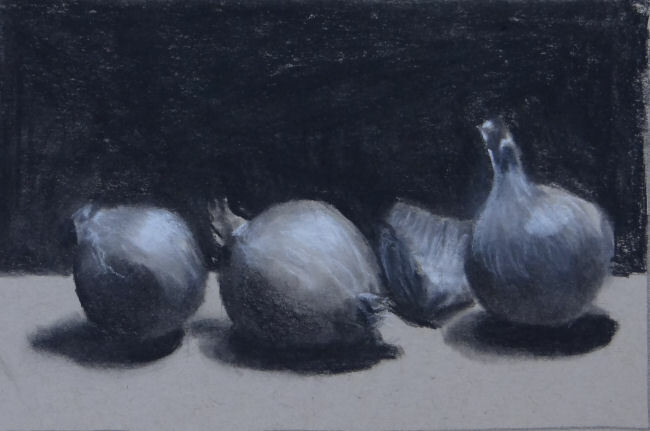 This onion drawing was part of a Will Kemp lesson on getting the darks and lights in first and in the right value. I like the way it turned out - value wise it really shows three dimensions. I painted this as well and will post it next.